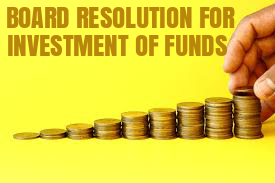 As per the provisions of Section 179(3) the Board of Directors of a company can invest the funds on behalf of the company only by means of resolutions passed at meetings of the Board. 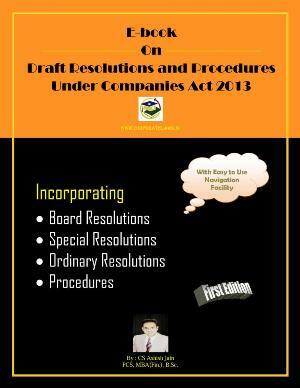 “RESOLVED THAT pursuant to the provisions of Section 186 read with section 179(3) and other applicable provisions, if any, of the Companies Act, 2013 (including any statutory modification or re-enactment thereof), Shri ____, of the company be and is hereby authorized to take decision for investing the funds of the company aggregating to Rs. ________ in fixed/term deposits with banks, bodies corporate/in shares, debentures of companies, government/other securities or in any other manner in one or more tranches and on such other terms and conditions in the interest of the company. 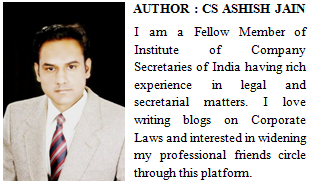 RESOLVED FURTHER THAT Shri _____, be and is hereby authorized from time to time to take all decisions and steps in respect of the above investment/disinvestment including the timing, amount and other terms and conditions of such investment/disinvestment as may deem appropriate, and to do and perform all such acts, deeds, matters and things, as may be necessary or expedient in this regard and to exercise all the rights and powers which would vest in the company in pursuance of such investment.